This facility provides the opportunity to apply for membership of the Institute of Asphalt Technology. It can also be used to upgrade an existing membership. Complete the information below then click 'Continue' to proceed. 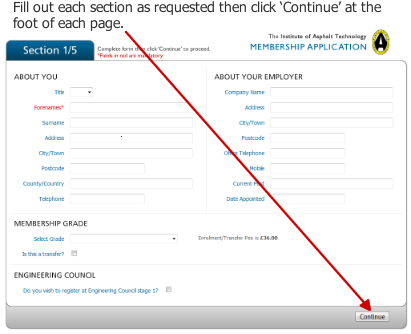 It is possible to return to an application using the 'Saved Application' option above, by using the email address and password given previously.